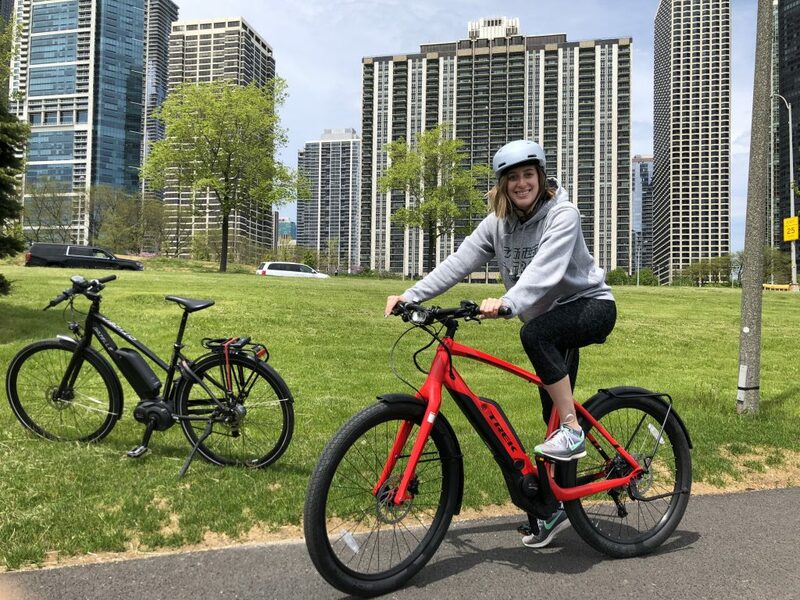 With Chicago’s Bike to Work Challenge in full swing until June 29, many public transportation or car commuters in the city may be opened up to the joys of riding their bikes to work; not only do you get to avoid traffic, but you can get some exercise in before your day even starts. With Chicago’s 200 miles of protected bike lanes and the new separation of the Lakefront Trail, the routes for cyclists are endless. However, maybe you don’t want to show up to work sweating, or find that navigating the crowds in the Loop is more stressful than driving on Michigan Avenue. That’s where electronic bikes, or eBikes, can come in handy. About a decade ago, eBikes were first introduced in Europe as a bike with an electric power steering motor; the first eBikes had throttles on them to propel the rider forward without much effort inputted, but about four years ago, Bosch Technology brought eBikes to America, sans throttle. These bikes had pedal assist technology, instead, requiring the rider to pedal and feel a push with each cycle. EBikes have received some scrutiny from endurance athletes who actually enjoy the difficult parts of cycling. 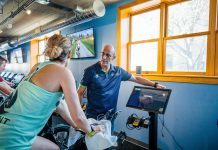 Weinert says eBikes are even beneficial for professional athletes, though, as it aids in injury recovery and controlled skill improvement. His favorite part of eBikes, however, is that it allows people with conditions and of all fitness levels to bike together. In fact, Weinert told me about Leonard Zinn, longtime author of VeloNews and writer of several bicycle books, who had a heart problem that limited his cycling abilities. With an eBike though, he can now ride and join his friends at their pace but at a controlled rate. I was lucky enough to try one of the fancy eBikes in downtown Chicago last month. I rode on a Trek Super Commuter bike that had a small Bosch PowerPack 500 battery on the bottom part of the frame that was easily removable to recharge. The battery-life depends on the time and power used, but can last several hours at once for longer rides. Most eBikes follow the same zone system, which consists of four zones the rider can alternate between at any time on the Bosch Purian Display speedometer. This process is similar to switching gears on a normal bike, but rather than adding stress with each higher gear, the zones propel the bike at more power with each level up. The zones are eco, which gives a 50 percent boost, tour at 110 percent, sport at 200 percent, and turbo which maxes out at 275 percent. The Trek Super Commuter can go up to 28 mph on turbo! I was a little hesitant to try out an eBike at first, as I thought I wouldn’t feel in control, but more like on a carnival ride. I was quickly proven wrong, though, as I shot that speedometer up to turbo as soon as the Lakefront Path cleared. The bike felt very stable, comfortable, and smooth, going over bumps, speeding up, and slowing down seamlessly. With every pedal, I could feel the bike propelling forward, almost as if I was being pushed from behind. 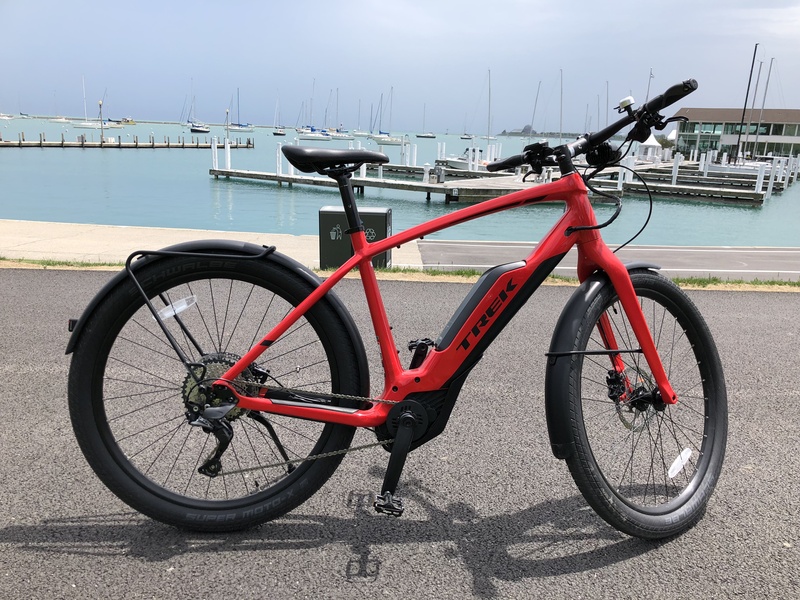 Zooming down the lakefront at 26 mph was honestly the most fun I’ve ever had on a bike, and it made me want to drop $5,000 on an eBike immediately (yes, that’s how much the Super Commuter costs). Unfortunately, Chicago is flat, so I wasn’t able to test how the bike felt going up and down hill, but I can imagine it’d be nearly effortless. However, I am planning a trip to San Francisco for this fall, and I’d love to zoom past struggling cyclists on those steep city streets on one of these bikes. Although I only rode for about 20 minutes, I immediately fell in love with eBikes. Not only is it fun and easy to get around, especially in a city, but it’s also an environment-friendly transportation option. Plus, as Weinert says, it makes you feel “superhuman,” so basically, the money is worth it. Read more about Bosch eBikes here.